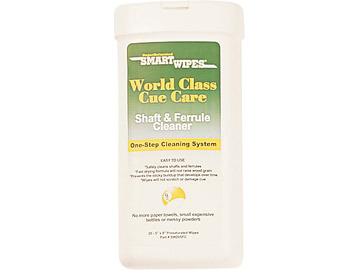 Now there is a quick, easy and safe way to clean chalk, oil and grime from your cue shaft and ferrule. 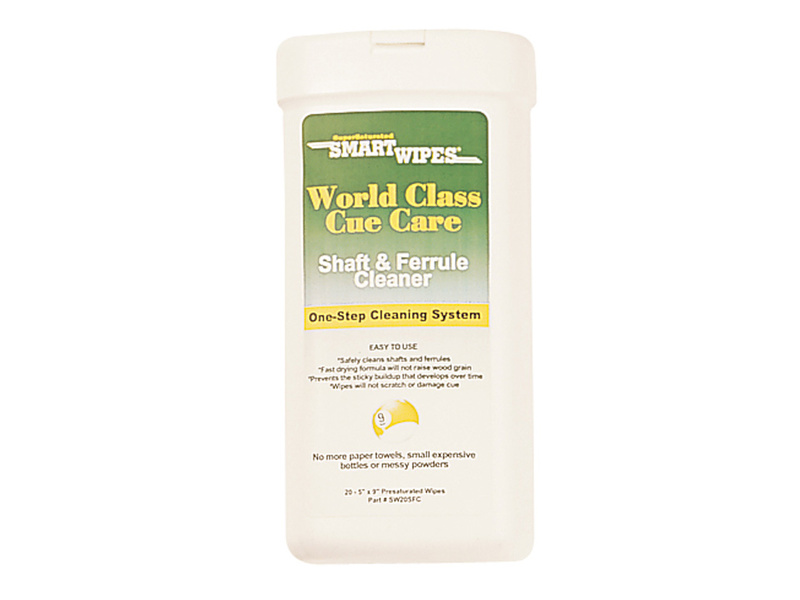 Each Smart Wipes Cue Care Shaft & Ferrule Cleaner dispenser contains 20 5” x 9” pre-saturated towelettes to deep-clean and condition your cue. The special cleaning formula does not use harsh chemicals, so it will not dry out or damage your shaft or ferrule, and it dries quickly. This one-step cleaning system will leave your cue so clean and smooth, you’ll wonder how you ever lived without it!